Pace bowler Mark Footitt has rejected a new contract with Derbyshire. 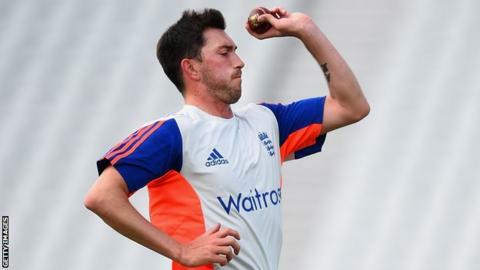 The 29-year-old, who was included in a 14-man England squad for the fourth Ashes Test, currently has a deal which expires at the end of next summer. Left-armer Footitt, capable of bowling in excess of 90mph, took 82 wickets in the County Championship last season, more than any other bowler. He has taken 56 first-class wickets this summer, behind only Lancashire's Kyle Jarvis and Kent's Matt Coles. Despite his efforts, Derbyshire sit seventh in County Championship Division Two and Footitt is likely to attract interest from clubs in the top flight should he become available. Footitt began his career with Nottinghamshire, making his first-class debut in 2005. He was released from his contract at Trent Bridge in 2009 and joined Derbyshire the following year.